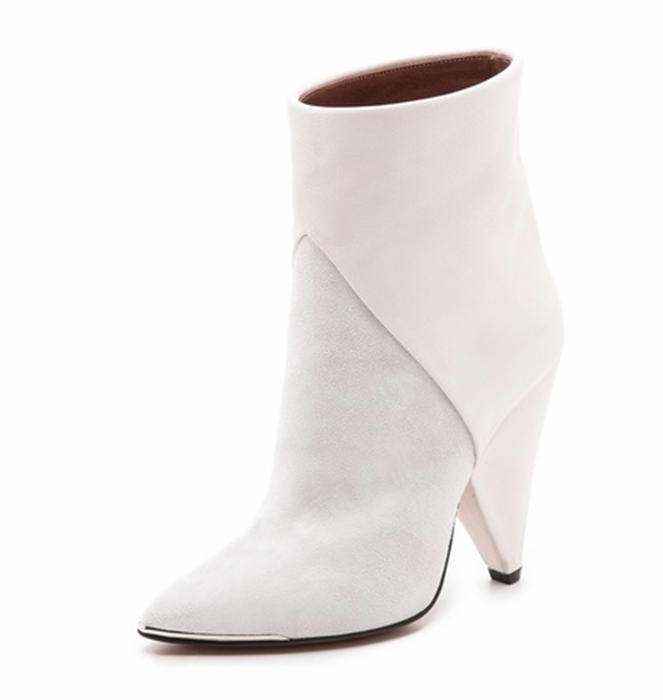 Today's So Shoe Me is the Daithy Cone Heel Booties by IRO, $792, available at Shopbop. It's all about the little white bootie and this architectural style from IRO offers a sleek step up in the style department. The fresh and modern bright white colorway adds a mod detail to your fave fall staples. A mix of suede and leather textures keeps high end interest and the architectural cone heel adds a modern style statement with a minimalist finish. Pair these chic little booties with some bright white leather separates for a new take on fall fashion. So Shoe Me a pair of white leather boots that will let me fall right into cold weather style in a stark modern silhouette.